Simon Walker CSI, is an Adobe Certified Master Trainer, an instructor for the International Colorist Academy (ICA), and was for many years an Apple Certified Final Cut Studio Master Trainer. He trains industry professionals in shooting, editing, motion graphics, visual effects, colour correction, grading, audio sweetening, video compression and on-line finishing and legalising techniques. "Simon has been fantastic at training my team on advanced Premiere Pro and After Effects. He is very thorough and breaks things down into easy to learn steps. His expert knowledge has been of huge help." He has been filming, editing, designing & animating short-films, adverts, interactive programs and motion graphics sequences for over 20 years, and has won several awards for the interactive multi-media training programs he wrote, filmed, developed, and produced for UK National Supermarket chains Somerfield PLC, and the Co-operative Group. "I've known/known of Simon for years as he is well known in the industry and we walk the same circles with training and trade shows but I'm so glad I got a chance to properly work with him and he will be firmly on my list of trainers/contacts for the future. Excellent communication, brilliant knowledge, well prepared and also a really nice guy. The feedback from my client was excellent and he brings vast experience and knowledge with him. Wouldn't hesitate to recommend him." 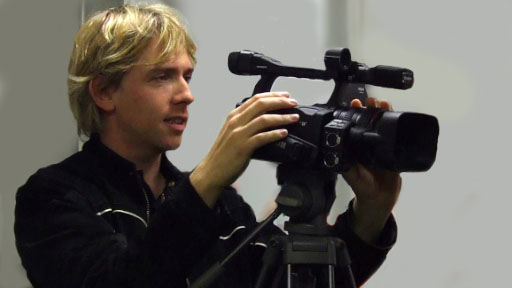 Simon is the author of seminars and short courses for the video industry includingVideo Optimising & Compression, Internet Film-making, Visual Storytelling, Grading with Magic Bullet Suite, and Motion Graphics for editors. He teaches the Masters Degree video compression and distribution module for video professionals at Ravensbourne University (MA/MSc Professional Media Practice), using Premiere Pro, After Effects and Adobe Media Encoder, and regularly runs the official Adobe Certified editing training course: An Editor's Guide To Premiere Pro. Simon is also the technical authorforAdobe's Creative Suite 6 Production Premium Classroom in a Book, and is a regular contributor for MacWorldMagazine. "As our studio has developed over the last few years we have relied on Simon's training to keep us up to date with our editing tools. From FCP through to our recent transition to Premiere Pro, Simon has proved invaluable in teaching the real world tips & tricks for optimising our systems & speeding up workflow. Combined with his tailored approach & masses of support material we can confidently progress our skills, knowing that if we really get stuck, Simon is only an email away with a solution." Darren Giles - Technical Producer, Vodafone Group Services Ltd. He has also published several Guru Packs of grading presets for Red Giant Software's Magic Bullet Looks post production software package, which enables end-users to easily add colour corrections and grades to video footage. 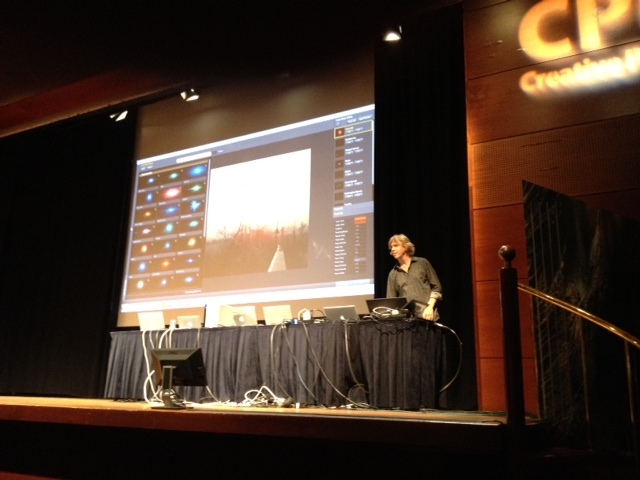 'Simon Walker's Weddings and Events for Looks' is designed to enhance footage from specials events, and Simon Walker’s Master Artists for Looks is allows editors to apply visual techniques like Chiaroscuro, Sfumato and the Impressionist style of capturing light, color and specular highlights to their video footage. Simon has authored two on-line training titles for lynda.com, The Art of Color Correction: Artistic Color Grading on the Timeline and The Art of Color Correction: Color Grading for Locations and Times of Day. These courses showcase grading techniques to help editors improve the look of their video, create moods and dramatic visuals, as well as using color to subtly project emotion, mood, time of day, and location. He runs editing training courses for Ravensbourne in Soho and North Greenwich, as well as for their sister training schemes Commercialising Digital Technology and Put Your Business Forward, and additionally runs courses at training centres in London, Cardiff, Manchester and Scotland. He has trained broadcast production staff all over the world, for the BBC, BBC Post, BskyB, Sky Sports, Disney, Discovery Channel, ITV, CNN, Turner, ABC, CBS, Bloomberg TV, Sony, Met Film School, B&H Photo, Scripps Networks International, University of Salford, University of Falmouth, The National Film and TV School, The MET Film School, Hogarth Worldwide, VCU Doha, Star Sports India, Zee TV, Prime Focus Technologies, and Mtunes, as well as at numerous media agencies and TV production companies. "Simon has provided Adobe training for me on a number of occasions and the feedback has always been very positive. It’s always difficult to pitch training courses at the right level, but Simon always seem to hit the spot. “He blew my mind with all the different ways I could potentially speed up my workflows!” “Simon was brilliant, very well informed, friendly, easy talking and helpful.” “His explanations were clear and easy to follow.” “Great atmosphere.” These are just some of the comments I’ve received back from editors. I don’t think you can get a better recommendation than that, I’ll definitely use Simon again and would highly recommend him"
He provides professional training internationally, and spent two months in Rio de Janeiro, working at FIFA World Cup 2014, as well as in Paris for the 2016 EUFA Euro Championships, training editors and designers in Premiere Pro, After Effects, Audition and SpeedGrade production techniques. Simon is a G-TEAM member, part of the G-COMMUNITY of industry professionals, and regularly demonstrates faster file-based workflows by showing how he uses G-Tech drives in his work. Simon frequently runs camera, editing, and post-production skills courses at Cyfle, (the only Skillset Approved Training Company for the Creative Media Industries in Wales), for industry professionals, helping them learn the key techniques of video production and advising how they can use these practices and workflows in their own productions. "Simon is an excellent trainer - one of the best that I have ever employed. He is great at creating a calm and productive environment - teaching both beginners and those more experienced to a very high level. Everyone who I've asked to be trained by Simon, have enthused about how much they enjoyed the session & also how much they've learnt. I would thoroughly recommend Simon"
He has also delivered training as a professor for fxphd.com, in editing, grading and post-production techniques with Red Giant plug-ins. In addition, Simon makes presentations and runs training sessions at industry events and at professional user groups in the USA as well as in the UK and across Europe, South America, the Middle East, India, Japan and Australia, including the Adobe Creative Suite Roadshow, NAB, IBC, BVE, FMX, Inter BEE Tokyo, Atlanta Cutters, CPUGSupermeets, WEFCPUG, and UKFCPUG, where he demonstrates timesaving editing tips and techniques. Adobe: Premiere Pro CC, After Effects CC, SpeedGrade CC, Photoshop CC, Audition CC, Prelude CC, Adobe Media Encoder CC. Red Giant: Magic Bullet Suite, Trapcode Suite, Shooter Suite, Effects Suite, Universe.